History of Sankosha USA, Inc.
A recognized and trusted leader in the Industry. 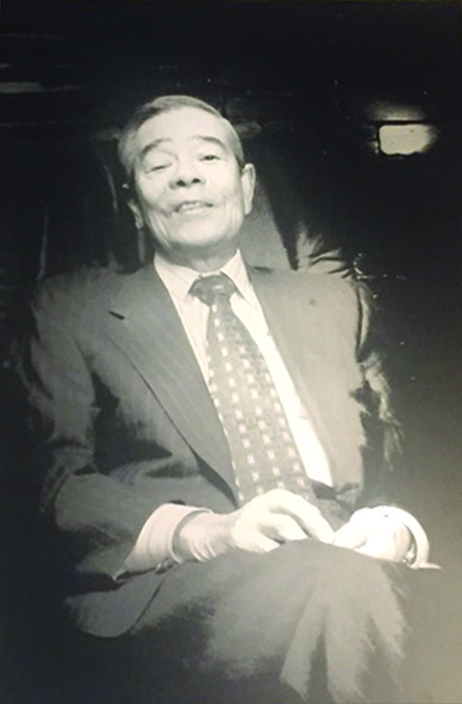 Our Founder, Mitsuyuki Uchikoshi began as a Dry Cleaner. Running a cleaning store, his eyes always went toward one thing – the pressing machines. He was always thinking of new machine ideas that would make it easier for Dry Cleaners to operate their businesses. Eventually after giving it a lot of thought, he decided to become a manufacturer. This was the beginning of Sankosha Manufacturing. As a visionary, he dreamed of marketing his innovative machines beyond Japan and expand into North America. Since he could not speak English, he decided to attend a local English school in Japan where his English teacher was Wesley Nelson who was born in Wisconsin but was living in Japan at the time. Through much hard work and extensive research Sankosha USA was born in 1993 and opened its first office at 1715 Elmhurst Road, Elk Grove Village, Illinois. Mr. Uchikoshi soon realized that great machines alone could not allow Sankosha to achieve success. With Wesley’s help, he partnered with qualified dealers across the USA who could sell and service the equipment. These partnerships are still invaluable today and without them, we would not exist. Our dealers and end users continue to be true partners and our employees are the best in the business. We are so proud of what we have accomplished over the past 25 years. In 2006, Sankosha USA, Inc. purchased its second building (3rd location) at 1901 Landmeier Road, Elk Grove Village, Illinois. This recently renovated facility houses our general offices, parts room, warehouse and a beautiful new showroom that features our latest equipment. "Customer First" and "Supreme Quality" are the mottos that we carry forward as we satisfy our customers with our products and services for the next quarter century.